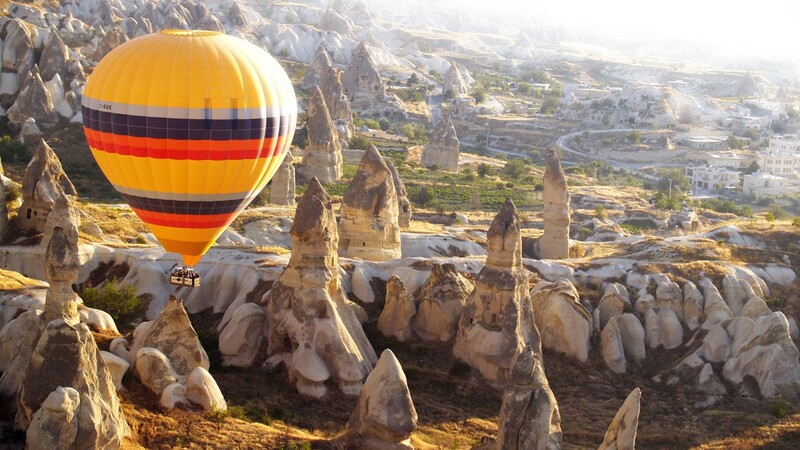 Take two-day excursion from Istanbul to Turkey’s famous moon-like landscape of Cappadocia. Visit UNESCO World Heritage Sites like Goreme Open Air Museum, Devrent Valley, Pasabagi and Pigeon Valley, near Uchisar. Watch pottery demonstration with the Hittite technique in Avanos. Visit well-preserved Uchisar rock castle, Derinkuyu underground city, Nar Lake. Walk through Ihlara Canyon for 4km. You’ll also have the option to take hot-air balloon tour to see amazing Cappadocia above. Return details Flight back to Istanbul on Day 2 and transfer you to your hotel in Istanbul.